With Peach Playable In Super Mario 3D World, What’s Bowser Planning? Is He Even The Main Villain? After one of Nintendo’s Direct Presentations earlier this summer, one of the smaller surprises of the broadcast was Super Mario 3D World‘s revelation of Peach as a playable character. While she’s been playable in other Mario games, like Mario Kart, Mario Golf, Mario Party, and a couple of the RPG games, you don’t really see her taking center stage as a playable character in a straight-up platformer. Her first foray as a playable character started way back in our version of Super Mario Bros. 2. What she lacked in turnip-pulling strength, she made up for in her ability to float. In more recent times, she starred in her own game, Super Princess Peach, which flipped the script and put her in charge of the saving duty. So now Peach is playable once again in a mainline Mario platformer. Awesome. But what about Bowser? What’s he scheming in all of this? Is he even involved in any of this? Let’s theorize on this a bit. The recurring theme across all Mario platform games (except for maybe Sunshine) is that Bowser wants to take over The Mushroom Kingdom. To do that, he goes for the Power Play and kidnaps Peach, a means to probably lower the morale of the kingdom and make it easy for him to either lay siege to it with his Troops, or convince the people of the kingdom to give up quickly and hand over the kingdom. There’s also the fact that supposedly she has some sort of magical power that’s never really explained outside the manual of the original game, but we’ll just roll with it. The constant thorn on his side has always been Mario, thwarting his plans whenever Peach is kidnapped and the kingdom’s in trouble. As the series went on, one could argue that Bowser’s been altering his plans to take over the kingdom. Instead of kidnapping her in secret and sending Mario the equivalent of a ransom note, he (or his goons) outright shows up right in front of Mario, kidnaps Peach right there, and practically dares Mario to catch him. In other words, he wants to get the biggest problem out of the way first and then take over the Mushroom Kingdom afterwards. It’s safe to assume that Peach is not getting kidnapped at all in Super Mario 3D World since one can play just as her, as evidenced by the trailer. To make a new scenario if she were to be played solo (or in multiplayer), like some sort of breakout scene, might be something of a slight headache for Nintendo to make. And since she’s not getting kidnapped, then what’s Bowser planning? Maybe an all-out siege on the Mushroom Kingdom? Or maybe he has Toadsworth? Or maybe Daisy? Or maybe that ever elusive King of the Mushroom Kingdom will finally be revealed. Now maybe it’s obvious that Bower is the bad guy here. You can see his insignia on both the Checkpoint Flag and the End-Goal Flag. But let’s theorize here. What if those insignias are just the generic symbol for Bad Guy? 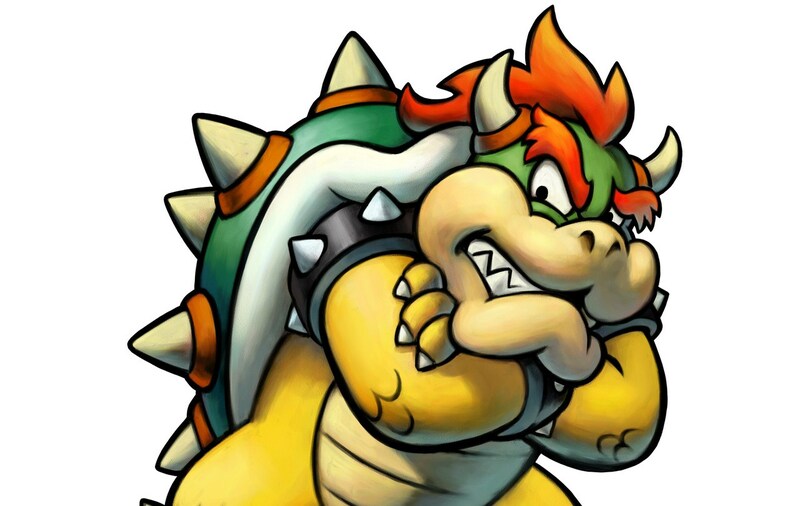 Or what if someone else is using this insignia to frame Bowser, making it seem as if it’s him plotting something again, using his troops and his usual traps to lead Mario and crew astray. Maybe there’s a man behind the man — a higher power telling Bowser what to do. Or maybe someone is holding Bowser captive and using his troops. With the exception of Super Princess Peach, whenever Peach was playable somehow (or not involved like in SML), Bowser was not in a position of power (or even there for that matter). 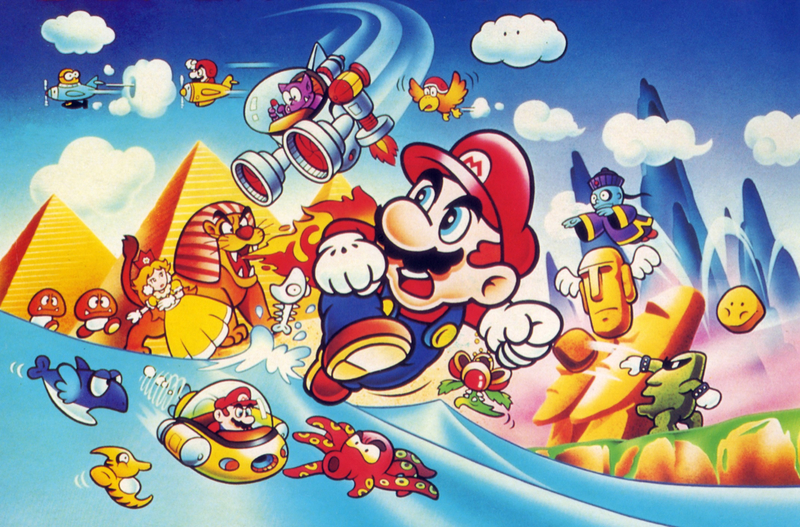 In Super Mario Bros. 2, Wart was the main baddie of Subcon. In Super Mario Land, Daisy was kidnapped and it was Tatanga who had to be taken down. Super Mario RPG saw Bowser, Peach, and Mario kicked out of Bowser’s Keep by Smithy’s Sword, Exor. In Super Paper Mario, Count Bleck (and er… a certain person I won’t spoil) was the main villain to beat. So who exactly is causing turmoil in the Mushroom Kingdom now? Could it be Wart escaping the subconscious confines of Subcon? Could it be Tatanga planning another alien invasion? Maybe Shadow Queen’s got some unfinished business? As the release of Super Mario 3D World draws nearer, we’ll get the answer eventually. 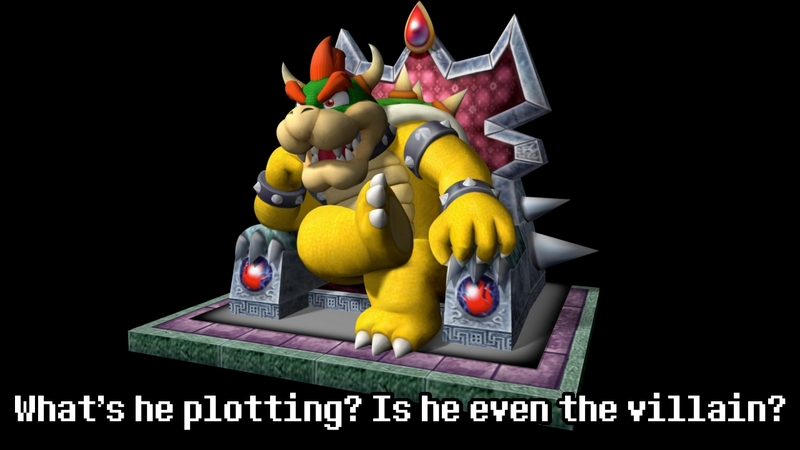 If we see Bowser in some way, then the question of his involvement is more or less answered. If not, then it’s all a mystery until it’s released. This entry was posted in General Articles and tagged Bowser, Luigi, Mario, nintendo, Peach, SM3DW, super mario, Super Mario 3D World, toad, wii u on August 24, 2013 by Steven T..